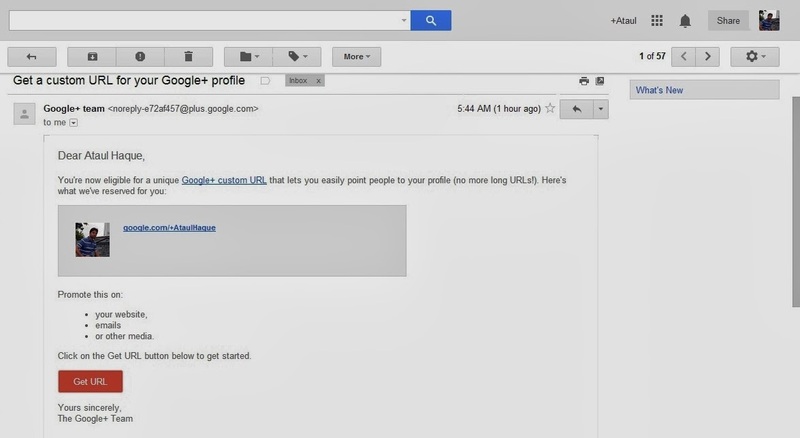 " Get a custom URL for your Google+ profile "
Opened the mail and there was the link to get the custom URL. clicked the URL and it redirected me to tick for an agreement approval, to approve the given URL. approved it and it's done. 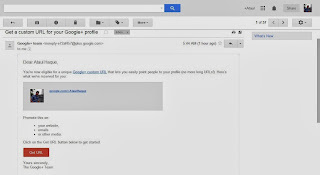 Then I went to my Google+ Page for my Blog and surprised to see another gift (probably the Diwali gift) waiting for me. I was asked to approve the pre-approved /+Indoscopy URL. I approved it and now I have the custom URL. Love You so much +Google.